In the past 20 plus years that I have spoken of the Ascension of Earth, I have never once mentioned a possible time for this. Nor has a time ever been given to me by the Ascended Realms. I’ve always said the Earth Mother would decide her destiny and the ‘when’ of it. It is, after all, her ascension. I now have very clear indications that she has decided her final course, has made alterations in the ‘how’ and decided the ‘when’. I have verified this with every universal source I have access to and am satisfied for myself that I understand what is to be. Now each person must stand in their own mastery to seek their inner and heavenly guidance to find their own truth. It is exciting and wonderful to finally see all we have worked towards since Atlantis come into being. We had a goal to take Earth to her new place of evolution and to enlighten as many as possible along the way. Billions of people have gained sufficient enlightenment to progress their own evolution through the work we have done. In addition, many new blueprints have been created, including one that allows the raising of frequency of the human physical body into Light instead of going through physical death. The Earth is now partially already ascended into the 5th dimension. She is currently bridging between two dimensions - the 3rd and the 5th. It is likely you are in that same wonderful position. Many people are now experiencing being partially in both those worlds. If you feel you are ‘not quite here’ then you probably aren’t! This is a very good indicator that you are indeed already partly in the 5th dimension. However, to make sure if this is the case, you need to be grounded. People who aren’t grounded often feel they are not quite ‘here’. Once you’re sure this is what is happening to you, then just relax, go with the flow and make sure you stay there. Being positive keeps you there. Being partly in the 5th actually helps you to be more positive. You will notice you are less negative and can spot more easily when your thoughts are negative. What occurs is that as we move more and more into the 5th, that reality becomes stronger and stronger and our current 3rd dimensional life becomes less real and less important. This also helps us release fears of the unknown and what lies ahead. If you don’t feel yet that you are bridging the two dimensions, then focus more on being positive, loving, non judgmental and keep releasing every belief pattern and dense emotion and thought that shows itself. If you really do this, at some point you will notice that feeling of being someplace else as well. It takes time to adjust to moving to a new dimension, so it is beneficial to begin now. For those people who are choosing not to ascend at this time but wish to stay in a third dimension, this will be undertaken on either this or another planet. Releasing any dense energy patterns within is always of benefit, even if you are staying. There have been recent changes to the plan for Earth and these involve that the Earth now ascends with her subtle bodies, but without her physical body. She had hoped that all the cleansing could be done via the use of Light, but in reassessment Earth sees that that other forms of cleansing will also need to occur. That has begun. Even though the earth is now leaving behind her physical body, it still needs to be cleansed. This will ensure it has a fresh start as it too one day will ascend. 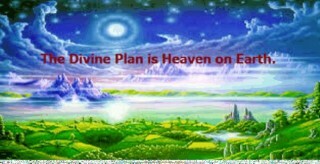 With changes to the Plan for Earth, some of us have changed our plans as well. In the original plan, most Lightworkers were going home as Earth ascended and some were going to stay on the 5D planet to help. Humanity was always duly making its choices of whether to stay in 3D or raise vibration and ascend into 5D. The extended choices have been presented to all of us during our sleep time. Those choices are: 1. ascending and returning home; 2. ascending but then remaining in the 5th dimension to assist there or 3. remaining partly in both dimensions helping in both. 4. There is also the possibility of remaining solely in the 3rd dimension but this would generally only apply to those who have difficulty raising their vibration sufficiently to reach the 5th. None of these choices are ‘better’ than the other. Each person chooses what suits their own advancement and evolution. Continue to trust that everything is perfect. It’s not always easy to do when we can’t see that higher picture, but it is still always true. Signs now point us to the Mayan calendar. That doesn’t mean everything will change at midnight on 31st December 2011 . It seems more likely there will be a steady progression and cleansing and the final Earth Ascension will be in the latter half of 2012/early 2013. While this may seem a way off, it isn’t really long. It takes time for us (and her) to adjust to a new dimension. If you wish to be part of the current cycle of ascension, it is truly time now to leave any self doubt behind. A lack of confidence or concern that you may get it wrong and hurt someone can no longer be a reason not to do what you came here to do. Lack of faith in yourself leads to inaction. It leads to lack of self cleansing. It can affect our ability to discern who and what we are connected to. When we don’t trust ourselves, sometimes we hand our power to others who we ‘hope’ have got it right. When you are truly in your own power, there is less ‘need’ to be led by others. Recognise who is around you and who you wish to align with. Gone are the days of connecting your energy to ‘whomever’ and just hoping its OK. Know what energy stands in front of you at any given moment and act accordingly – so if it’s not energy you prefer, remain in a loving space and walk the other way. 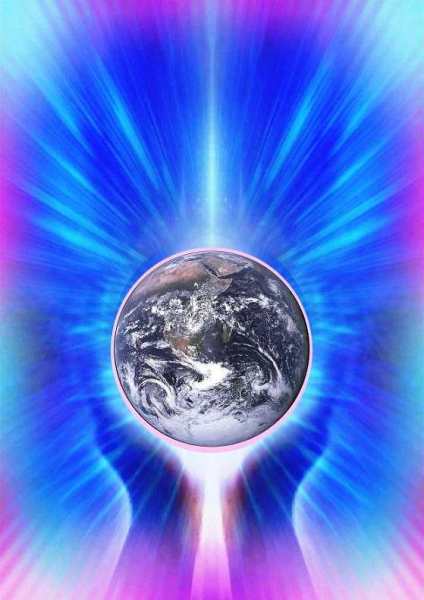 If it is energy you prefer, then align to it with cords of light. It is time to ensure your own evolutionary position now. Pick up your mastery. If you need help from the Higher Realms, then ask for it. But please ask in the manner of a master, not as a pleading, begging victim – or you may not be heard. Demanding (with love) can work also as this can also be done in mastery. There is nothing to be achieved now from any other position now than one of mastery. You are capable of completely changing your life and your destiny right now. 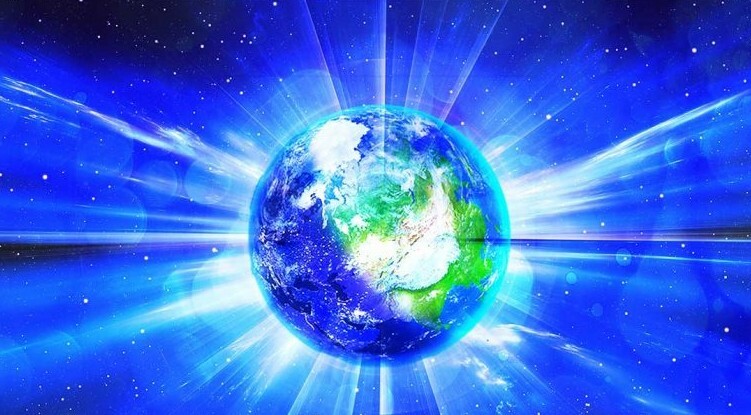 If you are choosing ascension, allow yourself this brief time ahead to move into the vibration required to be a part of the beautiful ascending Earth. Every day take time for some deep breaths and get into stillness. Move into that space you were in long ago before you entered this world. Let go of everything you can possibly let go of. That means everything that is not the truth of who you are. Move into KNOWING instead of believing. Get rid of any deeply held rigid or critical stuff - of yourself/ everyone/ organisations/ systems/ authority/ education/ religions/ big business/ the world. Don’t pass on news in such a way as to depress others (remember there is a higher and lighter picture to all events). Stop blaming others for events in your life. All these energy patterns contain too dense a vibration to allow you to ascend. Stop deciding who it’s alright to love and instead use all your inherent instant mastery in this moment to love the whole world and everyone and everything in it. Be grateful for every spark of life you have. Thank God for your gifts of intelligence and intuition that allow you to know what you need to know when you need to know it. Mend the rifts around you (yes, including family!). Clear your aura – use Light/Violet Flame and essences such as Bach Flowers. Eat right. Use other Kingdoms on Earth – Angelic, Devic, Mineral, and Elemental (Fire, Earth Air Water). They CAN all help. For example, while you are taking a shower you can ask the Water Undines to bring you healing and grounding and this can be set up as a permanent thing. Get yourself into a harmonious space and then check out your fellow travellers and give them a helping hand to move into their own power and a space of love. Keep around you only strength, focus, pure intent, faith and trust, love of all, a desire to evolve and to be the best you can be. Be watchful of your words; create only positive harmony, uplifting all. Keep your lines clear of karma; keep your space and intent pure and perfect. Now that you are in your space of mastery, stay there. With love and intent for your Highest Good.